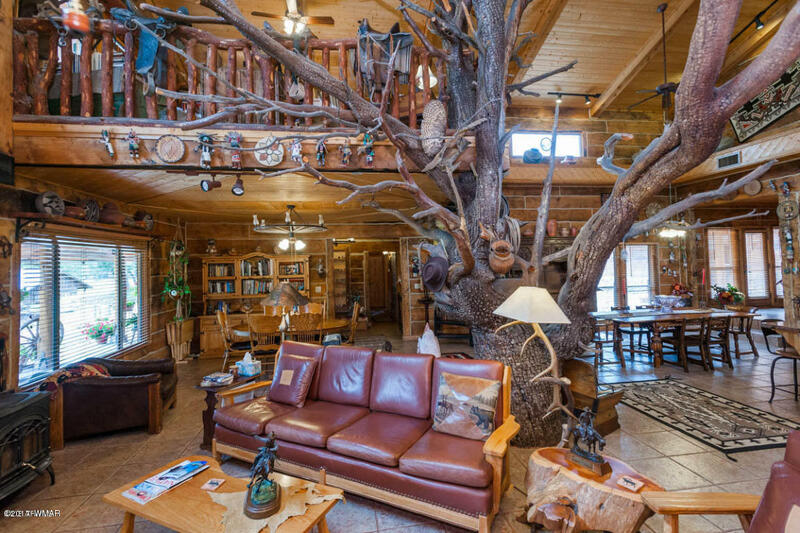 This 122 acre Ranch is one of the most secluded/unique properties in Arizona and surrounded by National Forest. Large stands of tall Ponderosa pines-large meadows for herds of elk and deer to graze. The property includes the main house, bunk house, root cellar, corncrib, casita, barn, outhouse with toilet, sink, shower), guest quarters and care taker residence.Solar Panels provide electricity. Cool mountain air provides cooling. Originally built it 1911, totally remodeled in 2002. See detailed narrative on property in Documents.